The open source AGM2015 provides fundamental data for experiments, assists in strategic detector placement to determine neutrino mass hierarchy, and aids in identifying undeclared nuclear reactors. Genetic map of the UK shows which invasions created Britain’s DNA — Peter Donnelly and colleagues use such data from a selected geographically diverse sample of more than 2,000 individuals from the United Kingdom to reveal remarkable concordance between genetic clusters and geography. What’s up in the Solar System? — A diagram by Olaf Frohn, updated once a month, of active space missions traveling beyond Earth orbit. 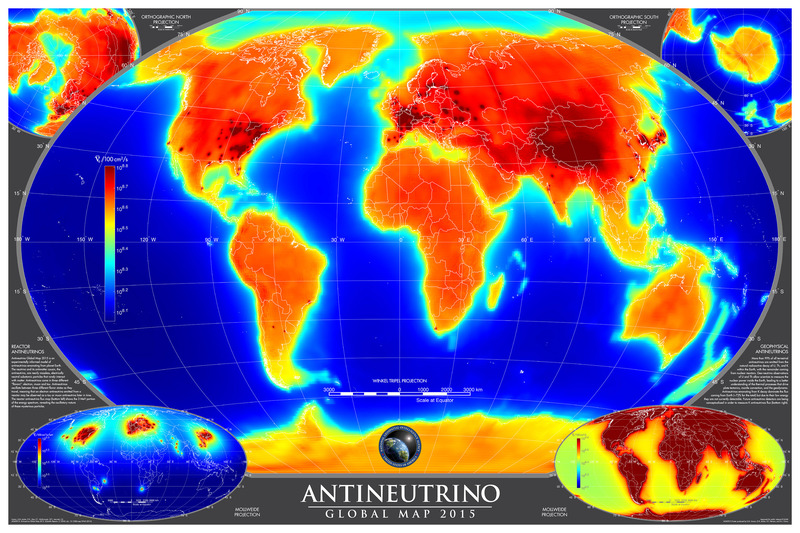 The map uses open-source geophysical data sets and publicly available international antineutrino detection observational data to depict varying levels of radioactivity on Earth.